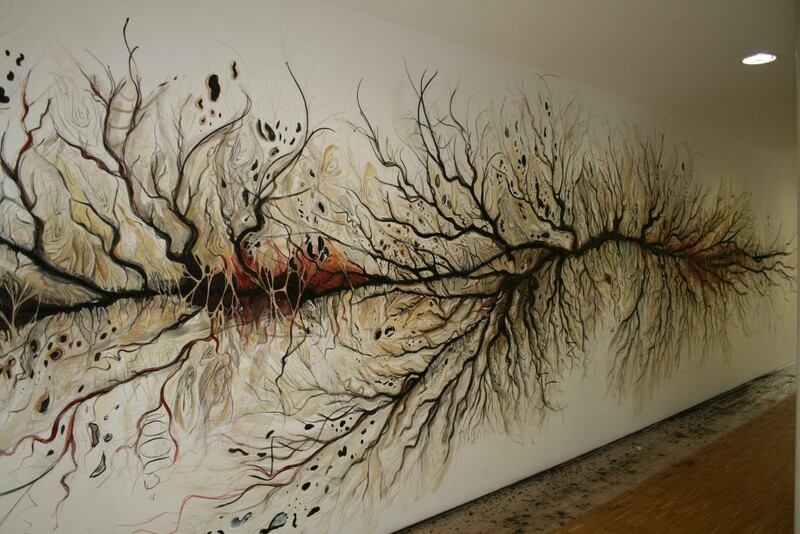 Parts Unknown, is a site specific wall drawing executed at the Max Planck Institute for the History of Science in Berlin, as part of a 4 month residency at the Institute between March-June 2012. 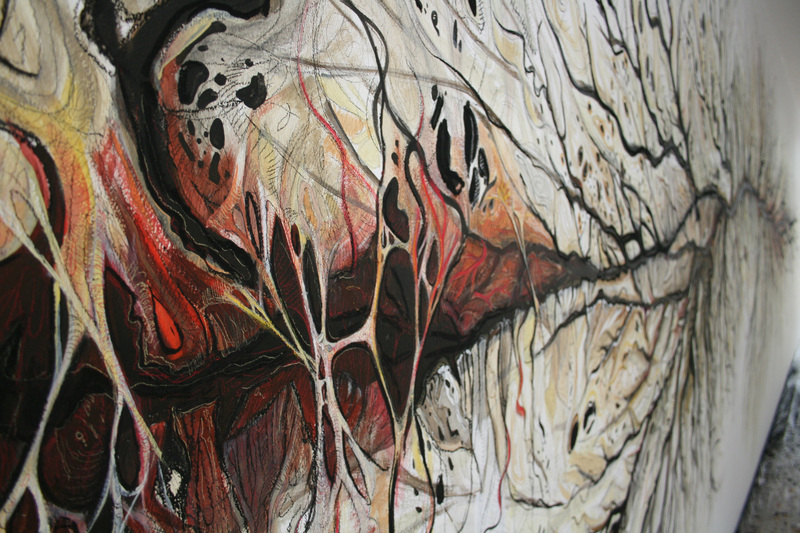 The drawing is an exercise in frame-switching between different scales – between microcosm and macrocosm. In trying to understand the role of the imagination in comprehending and translating remote spaces and topographies I searched not so much for correspondence as for continuity between the two systems. 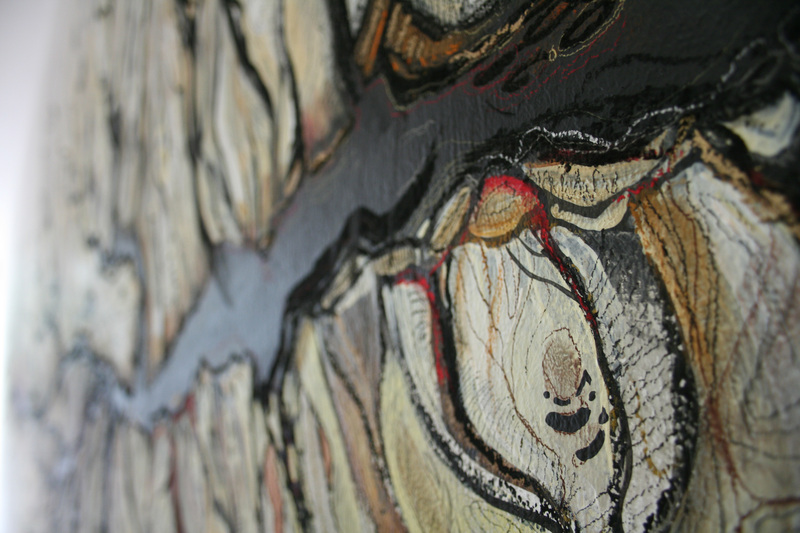 The drawing is a jigsaw constructed and stitched together from a variety of diverse ‘raw materials’ or ‘sources’. Through the process of the drawing, done on site over a period of 12 days, the relationship between the drawing and the forms from which they are derived is gradually blurred until all real similarity vanishes. The textural, structural character of the original forms remain, but via a process of assemblage, agglomeration and juxtaposition coalesce into something new. “Parts Unknown” was built by the layering of small marks. An exploration of an unknown landscape of undetermined topography, it tries to sketch a miniscule cosmography. It becomes a metaphor for the natural world, by turns idyllic, stark, uncanny, threatening, and seductive. 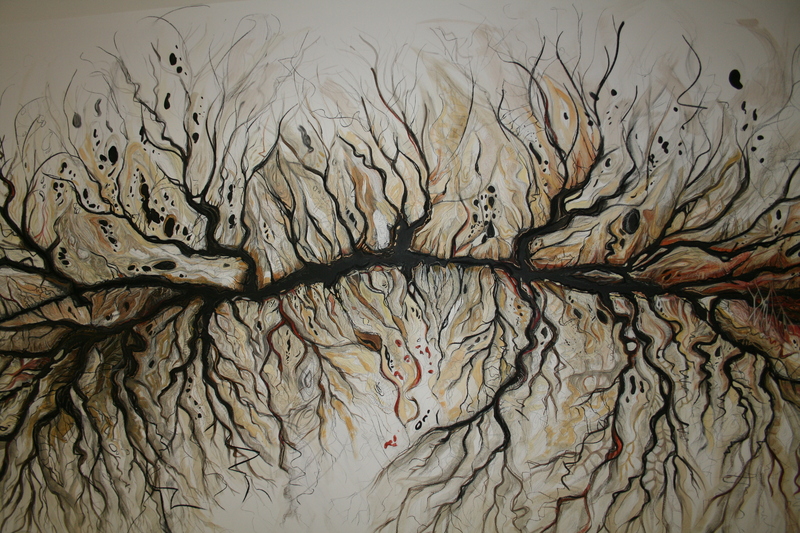 The drawing began with an image of a river system. Remote sensed data that was then multiplied to branch across the surface. To this were added deltas and estuaries, cloud and glacier formations, objective information gathered at a variety of spatial scales. Details emerged, topographical maps with irregular radiating circles to mark mountains and hills. Small lakes and ponds scattered like spots across the wall. We shift from one scale to another without disrupting continuity. The result is somewhat unclassifiable. The drawing focuses on the interface between the positive and negative spaces, or the relationship of forms that share edges. 1. 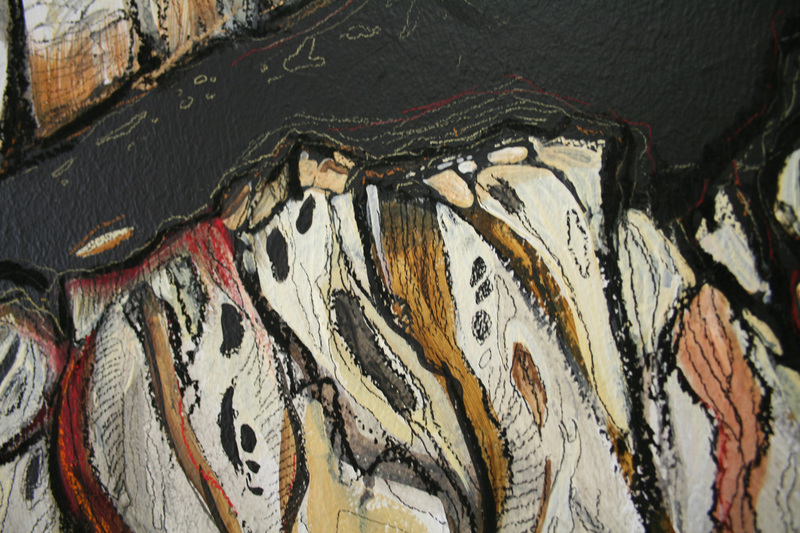 The dark lines running across the wall is a river system with the spaces around it, an aerial view of the surrounding topography. 2. The dark lines are cracks in the wall and you stand looking at or ‘into’ something immediately before you, something that threatens to erupt or explode. 3. You are looking deep into some form of biological branching systems, neurons, blood vessels, veins etc, where the dark areas are wounds across ‘a body’. These interpretations cannot co-exist, cannot be perceived at one time, they fluctuate, which creates a sense of vertigo. This sense of instability is further heightened by the fact that the drawing exploits the basic procedure of adding up heterogeneous elements within habitually incompatible frames of reference, without trying to synthesize them. These bits and parts can be combined but this combination is not— and never will be—a stable combination. Hybridization is the only possible operation and at its best it results in an enigma that cannot be unraveled.